How fast does 100mph fastball reach batter? Takasaki Saito's release point and the relationship to the pitcher's plate. John asked: How fast, in seconds, does fastball travel 60 feet? Rick answered: John, thank you for your question. Radar guns start as the ball is released from the pitcher's hand, which puts the ball in a location several feet closer than the 60'6". In the first image above, the pitcher is at his release point; but we can't see how far in front of the pitcher's plate he is. The second image gives a little different look at the hitter, baseball relationship. 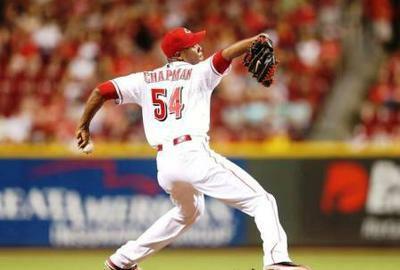 Image 3 is Araldis Chapman, relief pitcher for the Reds. He is consistently at 99-100+. Hard to see from the image; but like all pitchers, he is several feet closer to the plate than the 60'6" mark. The fourth image catches the ball at Takasaki Saito's release point and we are able to see approximately how much closer he is to home plate, as he is releasing the ball. A pitcher as tall as Randy Johnson was, at 6'7", has to look to a hitter like the ball is right in their face as it's released. Not much time to react. use your hide and seek game skills, the second count was one thousand one, one thousand two. Using that count as your personal radar gun, you should be somewhere around "onethou", with Randy Johnson maybe "onet". Players who have a lot of extra movement in their load and swing quite often have a hard time catching up. That can lead to getting the bat started early, situations where you see many swings at balls out of the strike zone. 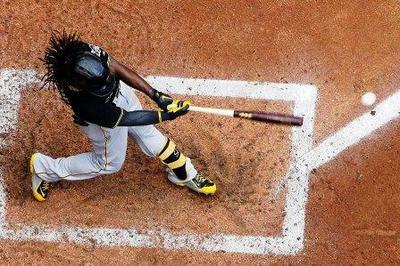 By the time the ball gets out of the pitcher's hand, the hitter has already started the bat. If the ball is not a strike, quite often they are unable to check that swing. Grab a bat and picture yourself as the hitter in image one, time that pitch from his hand with your "hide and seek" personal radar gun, you can get a feel for how quickly that happens. The speed relationship is only part of the issue with hitting the baseball. Other considerations are that it most always has additional movement, not just straight line travel. 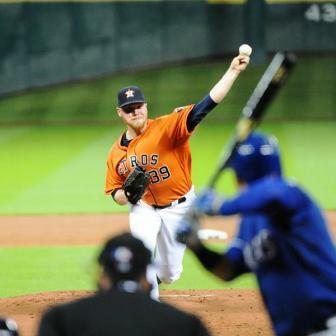 Pitchers also have secondary pitches, curve balls, change ups, etc. There may be anywhere from a 5 mph to a 15 mph difference to their fastball, and all these pitches will move as well. Not always as easy as it looks an TV. You best be quick! Comments for How fast does 100mph fastball reach batter? The ball's speed decreases as it approaches home plate, by about ten percent, i understand. Have you calculated the time it would take if, say, the speed of the ball is 90 MPH as it crosses home plate? The reason I'm curious about this is that a ball hit with a 150 MPH tennis serve drops to about 73 MPH by the time it reaches the opposite baseline. So, I'm wondering about the difference in actual time I batter has to respond to a pitch vs. the time a tennis player has to respond to a very fast serve. Thanks!